Los Angeles – October 30, 2014 – For the first time, ROJO 16 America, award-winning home décor and accent furnishings line, presented its original designs during the High Point Market to positive retailer and designer response. Coordinating the introduction was Jose Carlos, ROJO 16 partner and designer of the collection. Included within the debut were the home décor items that resulted in the recognition the company received as a finalist in the DMC ARTS Awards. The extensive line from ROJO 16 was on display in The Rug Market America’s Suites at Market Square showroom. The Rug Market America is also a finalist in the DMC Arts Awards. Carlos, who is a recognized home and decorative accessory designer, was on hand during the market debut to introduce the collection from ROJO 16. The line also exhibits in Atlanta, Dallas, New York, Miami and Las Vegas. 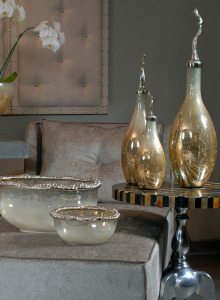 On display during the October 2014 market were new designs incorporating mixed elements from glass to metallic. 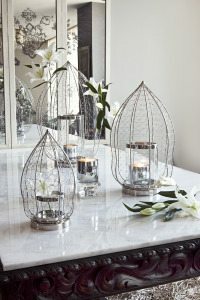 Other designs included molded wire, mercury glass, candles, candelabras and candle holders as well as plaited fabric and acrylic accent furnishings.